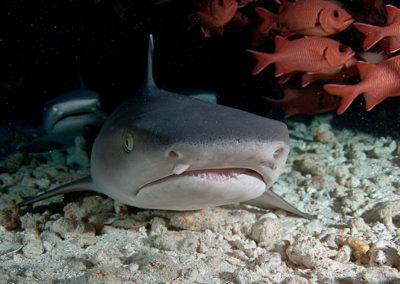 Sometimes called the « coral shark », the whitetip reef shark (Triaenodon obesus) can be confused with the Nurse shark. Both have a grey-colored elongated body. 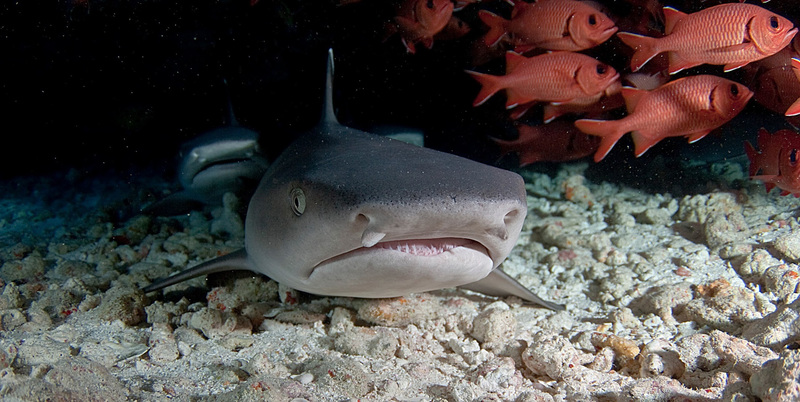 The whitetip reef shark presents many dark spots and a whitish underside. As its name suggests, it can be distinguished by white markings on the tips of the dorsal and caudal fins. 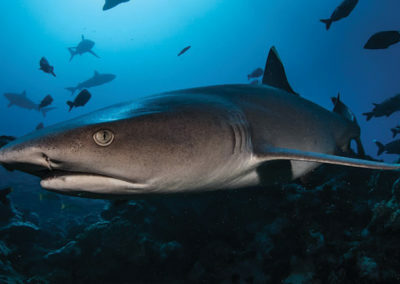 The whitetip reef shark can be found in the Pacific and Indian Oceans. It measures up to 5.6 ft with a record size known of about 7 ft. It has a short flat rounded muzzlewith well-developed appendix. 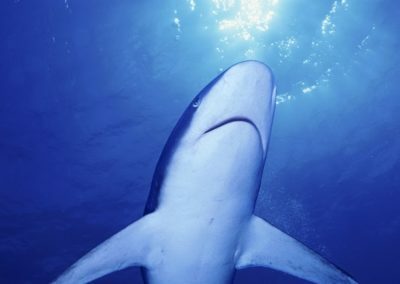 This shark lives around oceanic slopes as deep as 980 ft. Sexually mature at 5 years old, the whitetip shark can live up to 25 years. This animal is really active at night. 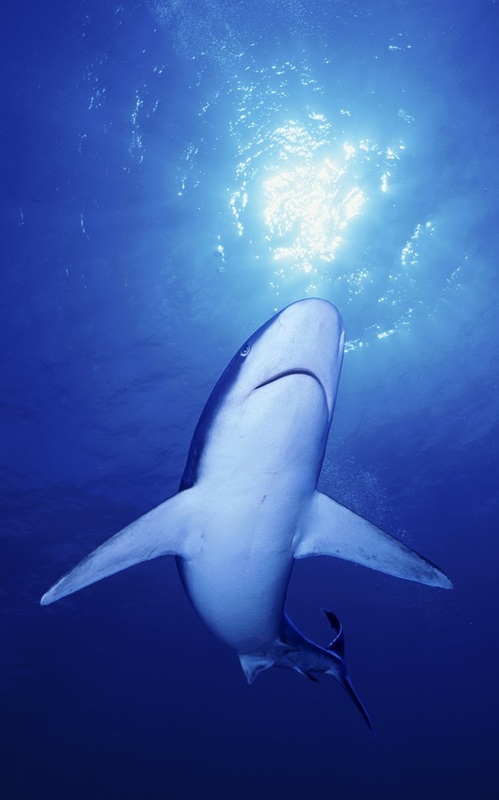 Indeed, once night has fallen, the whitetip shark hunts small fish, crustaceans or octopus. It frenetically searches for its preys moving as a snake through the coral gardens. 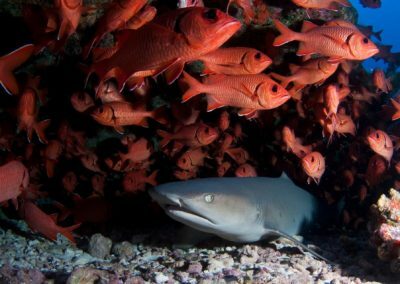 This shark is a predator as well as a scavenger. It owns an impressive jaw with about 3 000 teeth that renew every three days. During the day, it is a really “lazy” animal that stay lying on the sandy bottom close to the corals. As you know, a shark has to move to breathe. 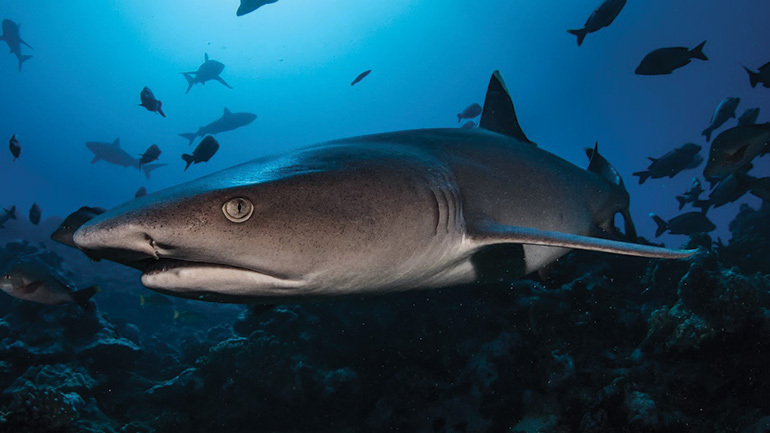 The whitetip reef shark stay near the current using its power to oxygenate without moving. What an ingenious method !! You could encounter this inoffensive shark in all Polynesian archipelagos without any difficulties. 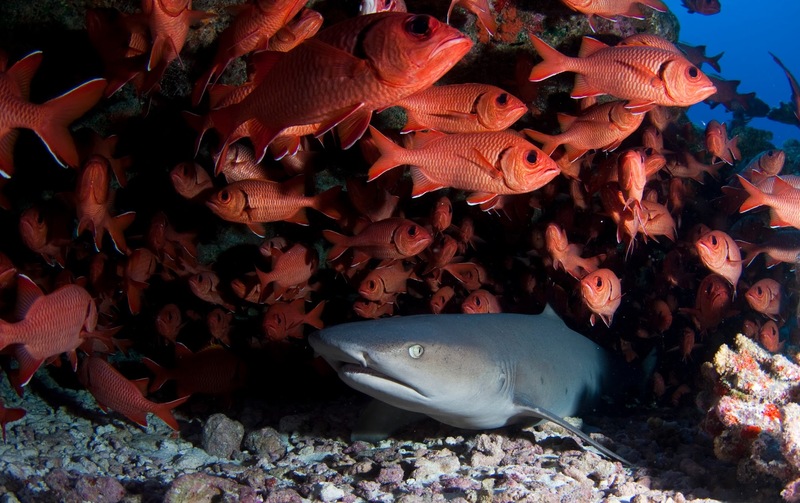 It is a really common species of the shallow waters, a perfect opportunity for underwater photographers.